A multi-faith gathering in Mora to discuss tolerance in the face of the threat from Boko Haraman extremist group that is located primarily in Northern Nigeria. Christian and Muslim leaders in northern Cameroon have reiterated their joint call for tolerance and peace in the face of a surge of terror attacks by the Nigerian radical Islamic group Boko Haram. On January 21st, a group of prominent religious leaders gathered in the town of Mora to discuss peaceful coexistence. The conference, similar to one held in 2014, was titled “Living in Peace in the Sight of God” and was co-chaired by the Sultan of Wandala, Boukar Alhaji Yerima Brahim; Rev. Gregory Cador, Episcopal Vicar of Mora; and Rev. 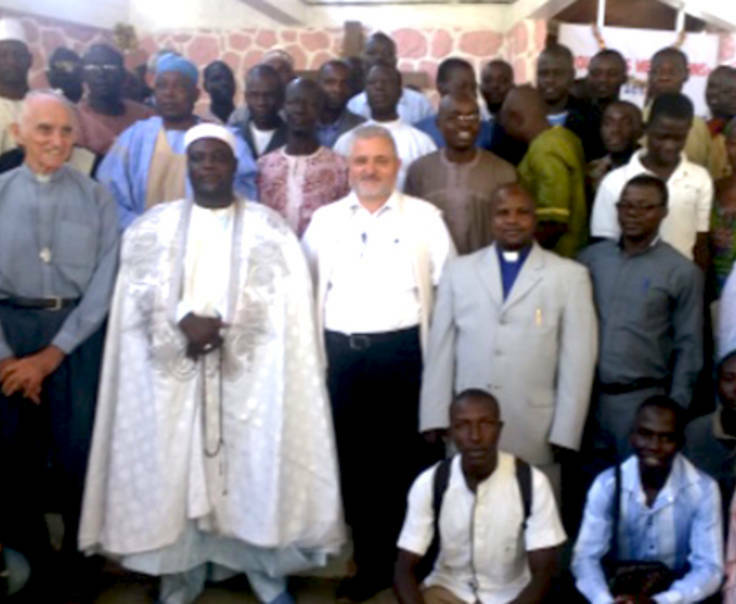 Samuel Heteck, president of the Protestant Churches Council in northern Cameroon. “Without a doubt, this day marks the beginning of a long march together, hand in hand, Christians and Muslims looking in the same direction in order to eradicate violence and terrorism,” the Sultan of Wandala said. The Sultan denounced widely circulating video footage glorifying violence in the name of Islam. He urged Christian and Muslim leaders to persevere in their role as educators, preaching love and brotherhood within families, communities and places of worship, and calling on all religious groups to increase “our common determination to counter the inhumane and barbaric ideology of Boko Haram”. The talk of solidarity and brotherhood in Mora occurred against a backdrop of deteriorating security in the region. Despite the military reinforcements, northern Cameroon has become a battlefield for Boko Haram. Deadly suicide attacks, mainly targeting markets, places of worship and other known gatherings, are taking place on a weekly, or sometimes daily, basis. A string of some 25 deadly suicide attacks across the region have claimed 84 lives in the month of January alone, according to an official toll. The Islamist insurgency has dramatically hampered business activities, put a heavy strain on the economy, and significantly changed daily life throughout the region. In Mora, which serves as the base for a Multinational Joint Task Force fighting Boko Haram, Sunday services were canceled in Protestant and Catholic churches during October and November. Though the places of worship have now re-opened, the number of worshipers has decreased, a local church leader told World Watch Monitor. Only men are permitted to attend services; the movements of women in Mora remain restricted on Saturdays and Sundays, because most of the recent attacks have been carried out by female suicide bombers. However, the church leader said that awareness of the global response to the crisis has helped to strengthen a spirit of solidarity between Christians and Muslims. Groups of Christian and Muslim youths are carrying out patrols outside mosques on Fridays and churches on Sundays, he said. He said their approach to the situation has been transformed and that they are now praying for a change of heart among the militants, while sermons focus on encouraging Christians to persevere amid difficult circumstances. We give You thanks, Father, for a glimmer of hope today in this region of Africa, so long ravaged by Boko Haram. With these Christians and Muslims, we pray for an environment of peace and mutual respect to be established in Cameroon and beyond. We pray for the hearts of the militants to be turned toward You that their reign of terror might end. We pray for the Christians that they might persevere amid difficulties, Standing Strong through the Storm. And through the testimony of believers, the truth of Your Word and the work of the Holy Spirit, we pray that the gospel of Christ might permeate this land. In the Name of Jesus, the Prince of Peace, Amen.